The addition of General Assessment (College Reportable) and General Assessment (State Allowable) have been added to 11th Grade. This lesson will walk you through how to select the appropriate assessment for a student. 1. Select 11th Grade (Age 17). 1. Select the assessment the student will be participating in. 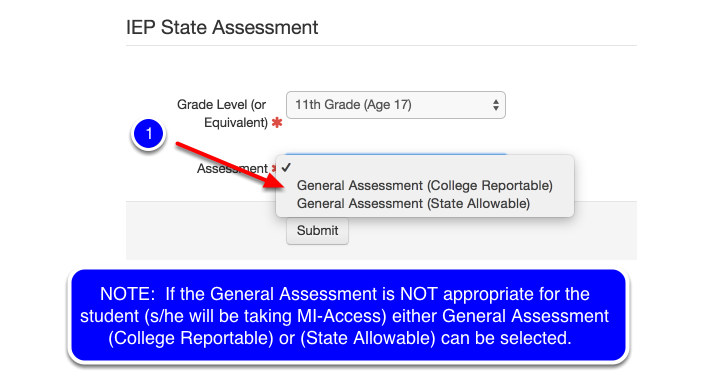 NOTE: If the General Assessment is NOT appropriate for the student (s/he will be taking MI-Access) either General Assessment (College Reportable) or General Assessment (State Allowable) can be selected. 1. 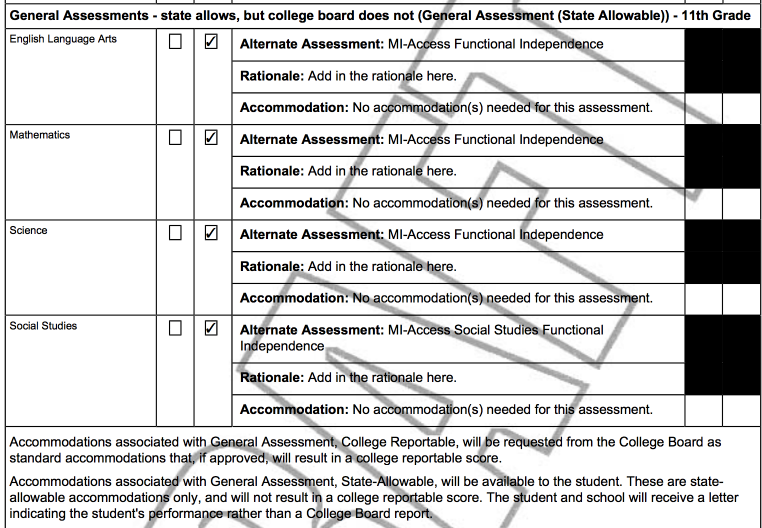 Select the General Assessment (College Reportable) or if General Assessment (State Allowable) was selected on the previous page, select this for the subtest areas. 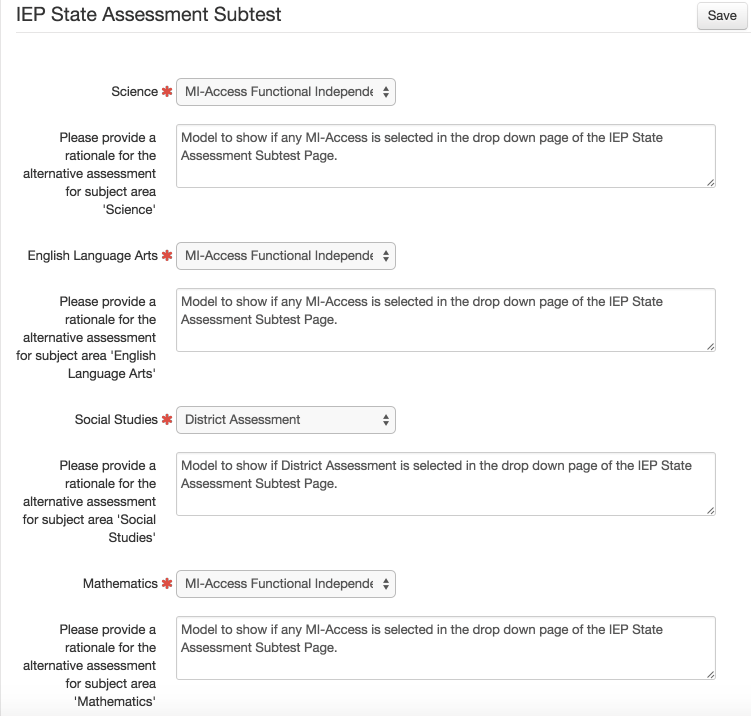 Note: The IEP Assessment Subtest Page will ONLY show EITHER the General Assessment (College Reportable) or General Assessment (State Allowable) along with all of the alternate options. Note: Eleventh Grade subtest selections for alternate assessments have stayed the same. 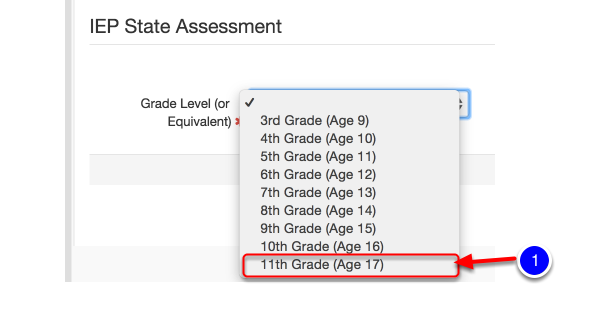 The only changes to 11th Grade are for the General Assessment options due to the addition of having the General Assessment be College Reportable OR State Allowable. Add accommodations as appropriate and click save.